Ready to Hang! Double Matted & Framed Fine Art Water Color Paper Prints- Printed with Epson technology using high quality Epson pigmented inks. Longevity 70 to 100 years. Giclee (pronounced “zhee-clay”, from French, is an invented name for the process of making fine art prints from a digital source using high quality ink-jet printing. Printed with Epson technology using high quality Epson pigmented inks. Longevity 70 to 100 years. Open Edition Canvas- Ready to Hang! OE prints are not signed, numbered or limited. All Open Edition canvases are stretched. Limited Edition Canvas- LE prints are limited to a certain amount to be created. They are also hand signed and numbered by the Artist herself. All Limited Edition canvases are shipped rolled. Ready to Hang! Printed with Epson technology using quality Epson pigmented inks. Longevity 70 to 100 years. We use museum quality no glare acrylic. We seal the back with Sintra Board that has a 200 year shelf life. All the originals come with a certificate of authenticity, signed and dated by Akiane Kramarik (The artist of the original). All originals are fully insured by Akiane Gallery during transit. Duties & Taxes are covered by Akiane Gallery for all international original purchases. We also offer complementary framing for any original of your choice. Shipping & Handling will take around 1-3 business days once payment is received for originals (international delivery times may vary). Once original is shipped, you will immediately be provided with a FedEx tracking number in order to track your crate. A direct signature is required upon arrival. It is the Customer’s’ responsibility to inspect Original Artwork upon arrival for any damage. If original(s) are damaged, the customer must notify Art Akiane LLC within 24 hours. Any damage reported after 24 hours is the responsibility of the customer and Art Akiane LLC is not liable for the damages. Contact us within 24 hours if there is damaged or missing artwork upon delivery of your order. Call us at (208) 712-4491 or by email at contact@akiane.com. We are responsible for the return shipment of damaged artwork, and we will replace them at no cost to the collector. 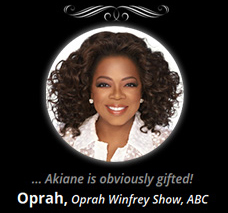 Please Note: Akiane’s collectors are based all over the world. We take great pride and professionalism in our art crate building, shipping and handling of all Akiane’s originals and have not yet had any client receive a damaged original. Akiane also inspects each crate. We guarantee your original will be handled with the utmost care and responsibility!